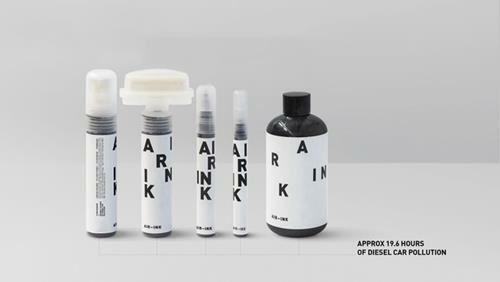 AIR-INK by Graviky Labs is made out of air pollution particulate matter – namely the unburned carbon soot you see coming out of the exhaust pipe of cars, chimneys, generators and more. By using 30ml of AIR-INK, you can negate 45 minutes worth of pollution. 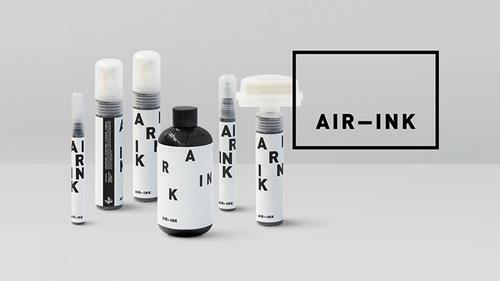 AIR-INK is currently available as 2mm, 15mm, 30mm and 50mm markers, and a 150ml screen printing ink set. If this campaign is a success, we will be able to work towards releasing oil based paints, fabric paints, outdoor paints, and more.